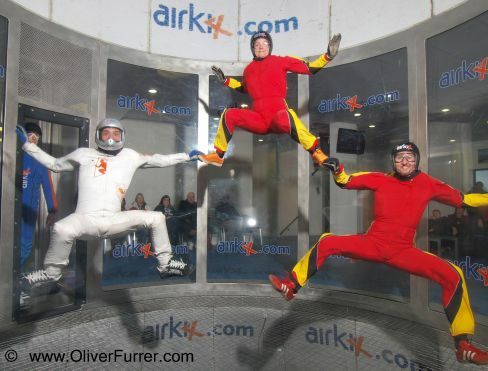 news 13.02.11: During one rainy weekend in Manchester, UK the PULSEteam experienced a freefly Indoor Skydive camp with Fred Fugen from the Babilon-Freefly. He taught new moves and different transitions in all 3D body positions from “belly to back to sit to head down flying”. 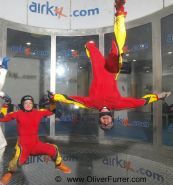 Thanks to Fred’s knowhow all together enjoyed every minute in the AIRKIX wind-tunnel. Soon the trained will apply in the “real” freefall again.